Sick of paying for Spotify? Hate how hard it is to use Apple Music? Then you’re going to love what renegade developer and lover of beer Andrew Simpson has built. It’s called Aurous, and it’s basically Popcorn Time for music. The spartan desktop app operates on the BitTorrent network and ostensibly grants you free access to millions of songs. That said, Aurous is still in alpha, and you’re not going find everything on there. A quick search for Daft Punk revealed only 19 results, a few of which were covers. 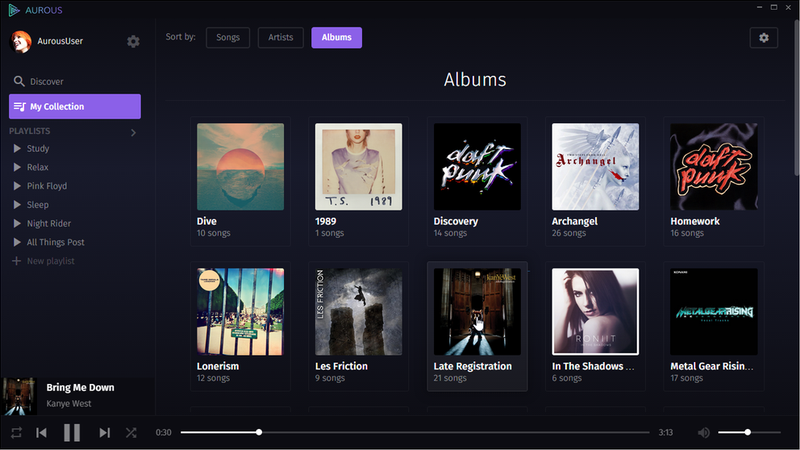 The interface is nice and Spotify-inspired, though features seem sparse so far. You can download Aurous for Windows, OS X, or Linux. Be advised, however, that the OS X version will require you to download this Java development kit. Happy pirating!